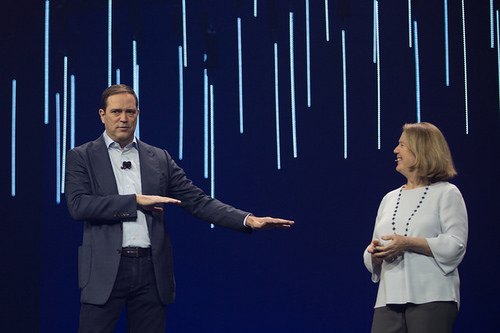 ORLANDO, Fla. -- Cisco Live -- Cisco and Google are penciling in October for delivery of joint Kubernetes capabilities to deploy applications spanning public and private clouds. The technology is now being used by enterprises in early access evaluation, Google Cloud Platform CEO Diane Greene said. In the Cisco-Google deal, both companies are providing security and Cisco is adding Kubernetes support to its HyperFlex hyperconverged infrastructure. Also, the companies will use Istio, an open source project for managing traffic between microservices, to connect applications across the pubic and private cloud environments. Greene took the stage Monday with Robbins at his keynote to deliver an update on the status of the collaboration. Application portability features that the two companies are developing are needed to feed enterprise demand for disruptive technology, Greene said. "You need to use these disruptive technologies but move them out in a non-disruptive ways," Greene said. "It's what allows the [enterprise] company to be innovative and do mindblowing things." Kubernetes lets application developers concentrate on building applications for customers, while Kubernetes automates scaling and monitoring infrastructure, Greene said. Google developed Kubernetes and has been using it internally for over a decade, releasing it to open source two and a half years ago, Greene said. "The reason it's taken the world by storm is because it had a decade of refinement on Google," she said. Kubernetes provides huge productivity gains. "It's fast becoming the best way to run your applications in a way that's consistent everywhere." Google launches over 4 billion Kubernetes instances weekly, for its own use. With Google Cloud Platform, it offers the same infrastructure for enterprise customers. Cisco provided Stealthwatch Cloud security support for Google CLoud in March. Cisco has also been contributing to the Kubernetes and Istio open source projects. 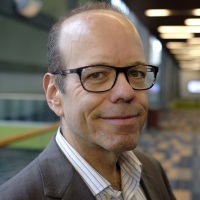 Early testing for the Cisco/Google collaboration include Internet of Things, Dev/Test and distributed computing at the edge, Kip Compton, Cisco senior vice president, cloud platform & solutions, said in a post on the Cisco blog. "Customers will be able to connect to GCP services such as Google Kubernetes Engine, BigQuery, BigTable, Cloud SQL, Spanner, Cloud Storage, and Pub/Sub through their on-premises Cisco environment," according to a post on the Google Cloud blog by Nan Boden, Google senior director, global technology partnerships. "Legacy workloads on-premises can be exposed to the cloud via Apigee's API services." Google partners including WWT, Accenture and IGNW are testing the software, Google says.